SANREMO, Italy (VN) — Wout van Aert (Jumbo-Visma) felt that having reached third for a second time in Strade Bianche this year that, one year on, he had confirmed his big road debut of 2018. The former cyclo-cross star “proved that again” with sixth place after 300 kilometers in Milano-Sanremo. 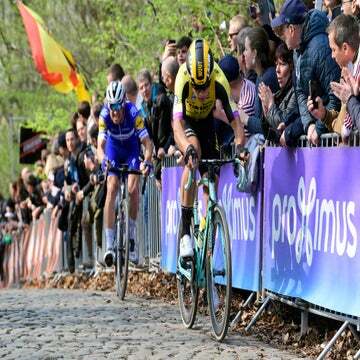 Van Aert made his debut in the Italian monument before heading home to Belgium to face the big one-day cobbled races. Van Aert made the attack group of seven on the Poggio climb led by eventual winner Julian Alaphilippe (Deceuninck-Quick-Step). And on the two-kilometer flat in Sanremo, he closed a brief solo attack by Matteo Trentin (Mitchelton-Scott). Van Aert splashed in the road cycling world in 2018. After winning three straight cyclo-cross world titles, he rode free with the stars in Strade Bianche. He placed third and went to the northern classics, taking ninth place in the Tour of Flanders and 13th in Paris-Roubaix. A couple of weeks ago, he placed third again in Strade Bianche and said that was even more difficult to confirm himself. Along the Mediterranean Coast on Saturday, he showed that a former one-hour racer can go to 300 kilometers – and perhaps win. “[Winning] is always on your mind of course, but in your first attempt you are still doubting a bit but I’m definitely happy I made it in the final breakaway,” he explained. He rode with stars Alaphilippe, Michal Kwiatkowski (Sky) and Peter Sagan (Bora-Hansgrohe). He underlined his status for cycling’s toughest one-day races. “It was just fighting to keep the wheel on the top of the Poggio. I saw we had a nice gap with a few of the guys, from there on it was a little tactical on the downhill. No one seemed to want to do the pacing,” he said. “On the bottom, my plan was to take a good moment for an attack but in the end maybe I’m a little disappointed that I tried to catch up with Trentin because there I gave a lot of power and maybe I missed that in the sprint. His opportunities come next in Belgium, where he races the E3 BinckBank Classic on Friday, Ghent-Wevelgem on Sunday. 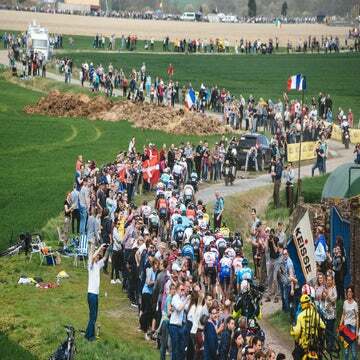 Afterward, he lines up for the cobbled monuments, the Tour of Flanders and Paris-Roubaix.